But if military veterans have their way in a California law suit (PDF), the spy agency’s quest to turn humans into robot-like assassins via electrodes planted in their brains will get far more exposure than the drugs the CIA tested on subjects ranging from soldiers to unwitting bar patrons and the clients of prostitutes. It’s not just science fiction — or the imaginings of the mentally ill. In 1961, a top CIA scientist reported in an internal memo that “the feasibility of remote control of activities in several species of animals has been demonstrated…Special investigations and evaluations will be conducted toward the application of selected elements of these techniques to man,” according to “The CIA and the Search for the Manchurian Candidate,” a 1979 book by former State Department intelligence officer John Marks. Victims have sought justice for years, in vain. 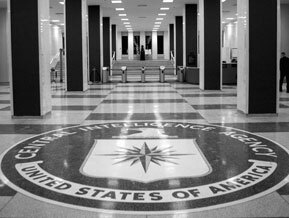 Now, almost 40 years later, a federal magistrate has ordered the CIA to produce records and witnesses about the LSD and other experiments “allegedly conducted on thousands of soldiers from 1950 through 1975,” according to news accounts. Erspamer, senior counsel in the San Francisco office of Morrison & Foerster, said “several” CIA witnesses “are…still alive,” naming some that have been publicly identified, but opting to keep secret others before he calls them. Papers filed in the case describe “electrical devices implanted in brain tissue with electrodes in various regions, including the hippocampus, the hypothalamus, the frontal lobe (via the septum), the cortex and various other places,” Erspamer said, drawing on [research papers] (http://media.washingtonpost.com/wp-srv/politics/documents/spytalkheathdocument.pdf) written by government scientists. “A lot of this work was done out of Tulane University using a local state hospital and funding from a cut-out (front) organization called the Commonwealth Fund,” he continued, again drawing on the research papers. The CIA claims that at least some of the documents should remain classified as “state secrets.” But Magistrate Larson told the agency to come back with a better rationale, a “supplemental declaration explaining with heightened specificity” why the documents should be protected after all these years.